Well, first of all, HAPPY BIRTHDAY!!!! 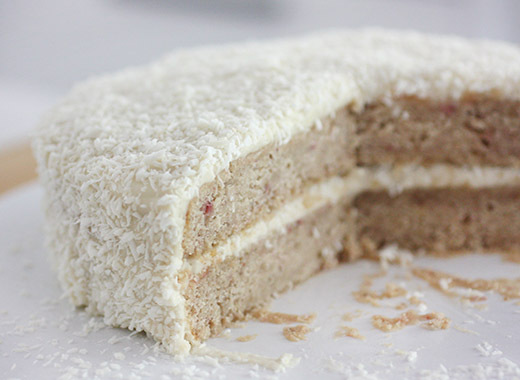 strawberry and coconut... very nice match! Happy belated Birthday, Lisa! The cake looks splendid. Can I use coconut cream instead in the frosting? Coconut cream would be delicious in the frosting! Maybe try less than the one cup listed for heavy cream since coconut cream may not whip to the consistency of heavy cream. i like to bake my own birthday cakes too! you've chosen a great one. i've found that i actually get a little sad when i see those neon pink strawberry cakes--that's so unrealistic! this looks perfect and the flavor combination is rare but amazing! Two layers for us, too. Even though we give away most of our sweets (usually), we still try to keep things reasonable. 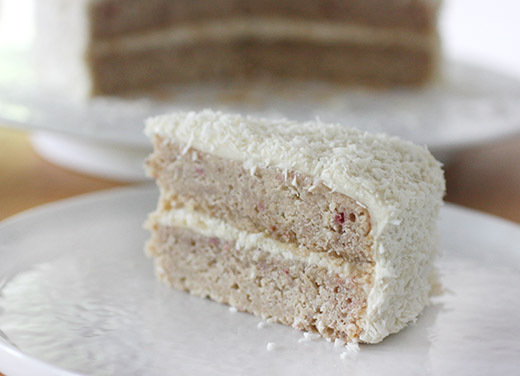 Anyway, Strawberry season is coming up, and coconut is always in season. Plus I love the stuff, so I'm always looking for new ways to use it. 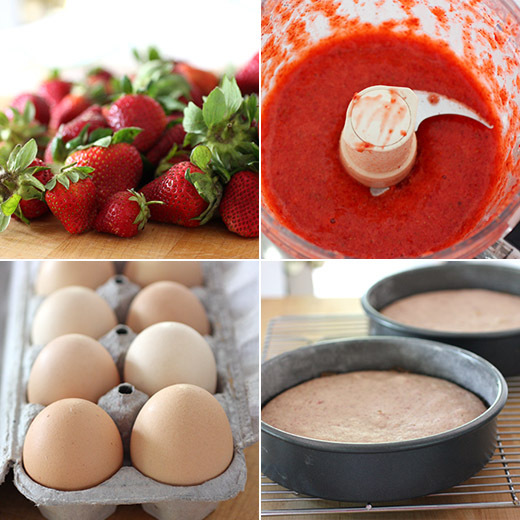 And it sounds wonderful with strawberries in this cake. Good stuff -- thanks. I so agree....must have cake for birthdays. Mine is my Aunt Mar's sponge cake with 7 minute frosting. It's really more like an angel food cake. My dad loved a simple white cake with raisins beat in the 7 minute frosting. One of my sons wants German Chocolate cake! Everyone is different and unlike you, no variation allowed. If it were up to me I'd make every cake in that book, one after the other. :) This is bound to be good...how can you miss with coconut? I’m sucha s cuker for coconut! Love your recipe! Gonna give it a try soon! Happy Birthday Lisa, I always make my own birthday cake too. Such a great idea to add strawberries, I bet this is delicious. A belated happy birthday to you Lisa, I hope it was a wonderful one. It sounds like you picked a delicious cake for your special day.